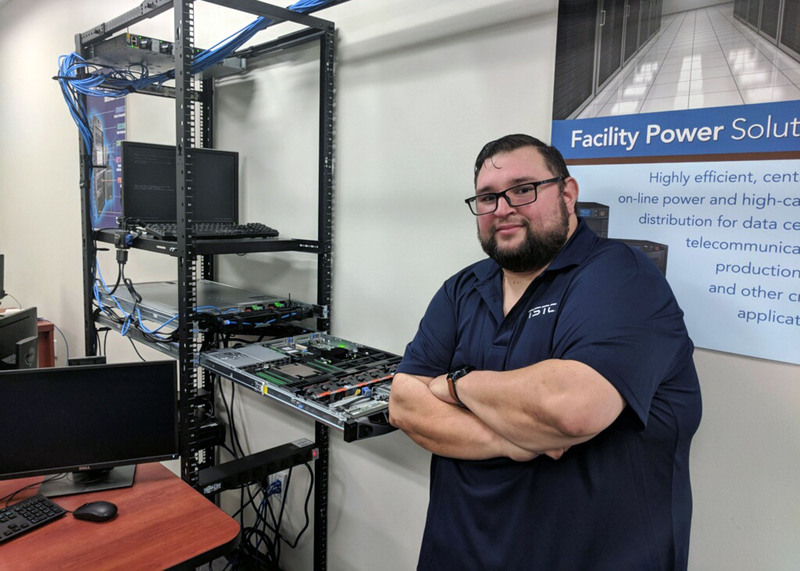 (HARLINGEN) – Rogelio Garcia is a small-town guy from Roma, Texas, but has accomplished big dreams at Texas State Technical College in Fort Bend County and will graduate with his associate degree in Cyber Security Technology this Thursday. This is a career change for the 37-year-old who spent nearly 13 years in the retail industry serving as a multi-unit manager for chains such as Kirkland’s, Anna’s Linens and Sears. Garcia had attempted the college and university life before TSTC. He studied Criminal Justice at a Rio Grande Valley community college and a university in San Antonio, but neither was the right fit. With the instability and hectic schedules that come with working retail, Garcia, with the support of his wife of 14 years, quit his job and they moved to Houston in hopes of finding better opportunities. Garcia said he did not know what he was getting himself into; he had no idea what cyber security was about. The only computer experience he had was with point-of-sale systems and online shopping. Disregarding his insecurity about the program, Garcia enrolled in January 2017 and since then has found success as a student and student leader on campus. Garcia credits his Cyber Security Technology Instructor Ryan Hill for the reason why he did not quit school this time around. Hill described Garcia as a great joy to have in class, a pleasure to work with, and one of the most dedicated students he’s seen. Garcia will graduate with a 3.9 grade-point average, with honors and memories he said he will cherish and miss. Along with adjusting to student life and studying to maintain his impressive GPA, Garcia also served as TSTC in Fort Bend County’s Student Government Association president, where he recently led a school supply drive and benefit and was one of the first inductees into the campuses newly established honor society, Phi Theta Kappa Honor Society, where he served as vice president. Garcia also worked on campus as a Student Ambassador and New Student Orientation volunteer conducting campus tours and welcoming new and prospective students on campus. So what’s next for Garcia? He already has a few job offers on the table that he is reviewing. 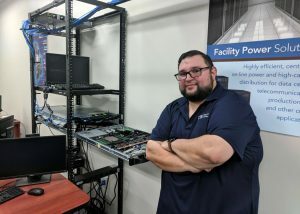 He ultimately hopes to work as a network administrator and Garcia is looking forward to celebrating this accomplishment with his wife, parents and in-laws on Thursday and can’t wait to put on his cap and gown and walk across the commencement stage. TSTC in Fort Bend County’s Commencement Ceremony will be held Thursday, August 16 at the Stafford Centre in Stafford, Texas at 6 p.m. This entry was posted in Fort Bend County, Harlingen on August 14, 2018 by Amanda Sotelo Sotelo.